Did you ever notice if you share a text design with someone (or if you are on the download end), Silhouette Studio will often times change the fonts to a default? It happens when the sharee opens the files if they don't have the fonts, used in the original design, in their font list. Perhaps you've even downloaded free cut files from Silhouette School and had this happen to you - sorry 'bout that. I just realized how to prevent this font failure from happening. The burden is on the original creator to prevent this from happening. 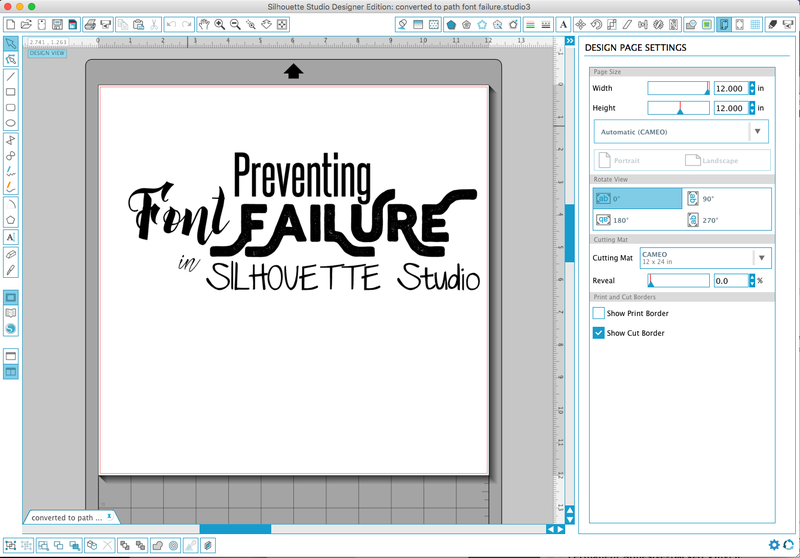 So if you're sharing or selling Silhouette cut files that include text - listen up! 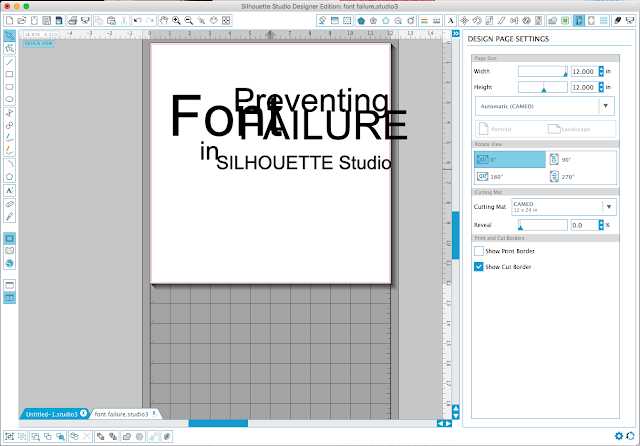 Create your design in Silhouette Studio as you normally would. After you've finished designing, select all of the text in the design, right click and 'convert to path'. This turns the text into a shape or design so it will NOT return to a default font if the sharee does not have the original font downloaded and installed on their computer. Keep in mind though, since the text is now a shape, it can NOT be edited as text. What font is your word "Font"? How do you get the watercolor look? LOVE it and this site! Thank you so much for share such a wonderful article.I like the way of writing and presenting.I enjoyed a lot and you can share more informative article. On a right way to acknowledge the text design with someone (or if you are on the download end), on this Studio will often times change the ts, used in the original design, in their font list. Thank you for this!! I often create files at my office, then cannot view correctly at home when I don't have the font. It has been driving me crazy! I knew preserving the fonts had to be easy, but I could not find the answer until now. You rock! Good studios are always able to make their life good and they can become great and successful in their life. The essay writing on time should be easy and free for all the people of the communities because they doing great work.